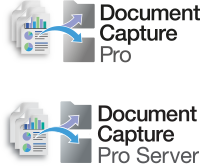 The wireless sheetfed document scanning choice, revolutionising workflows with smart features for capturing a wide range of documents. 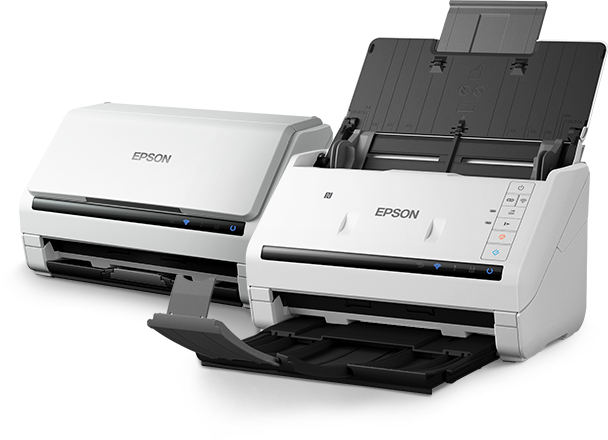 The fast and efficient DS-570W duplex, colour scanner is the intelligent choice for business document management, offering world-class performance and versatility. 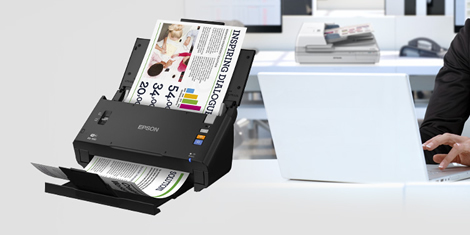 With the ability to scan at up to 35ppm/70ipm, it offers a wide range of media handling options that enable you to rapidly capture, index, store and share your business-critical documents. It can help your business gain control over critical information, improve the quality of your business decisions, and increase operational and process efficiency. 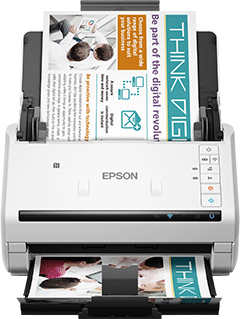 The DS-570W is the preferred option for integration into most working environments. 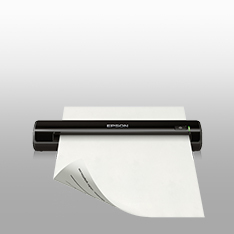 The advanced compact wireless sheetfed scanner delivers a truly flexible scanning experience so that documents can be captured securely. DS-570W connectivity options include USB 3.0 and 2.0, Wi-Fi and Wi-Fi Direct. Additionally, NFC makes it easy to quickly connect mobile devices. 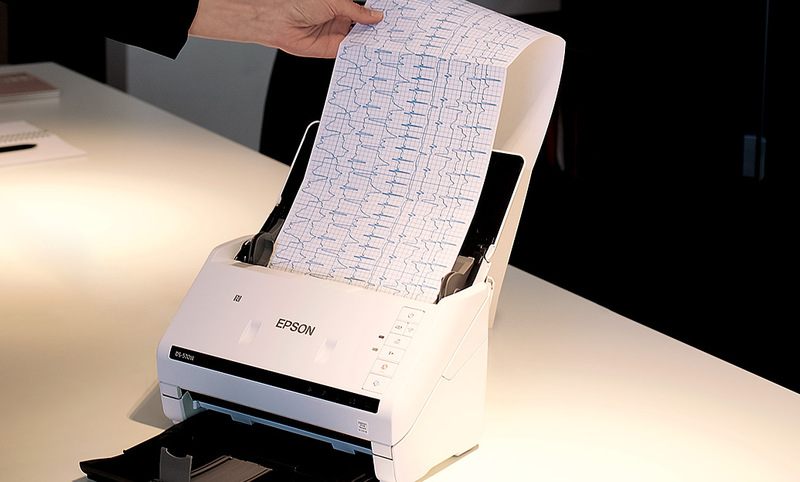 Due to the need for the effective automation of a wide range of processes present in back offices and customer-facing environments, these scanners are designed to streamline record keeping while delivering high levels of security, reliability and scalability. These functions are aided by the devices’ ability to ensure high-quality captures (300dpi) at high speeds thanks to image enhancement processing such as auto size crop, auto skew correction (hard edge) and colour slip reduction, carried out by a high-performance, dual-core CPU with hardware acceleration built in. 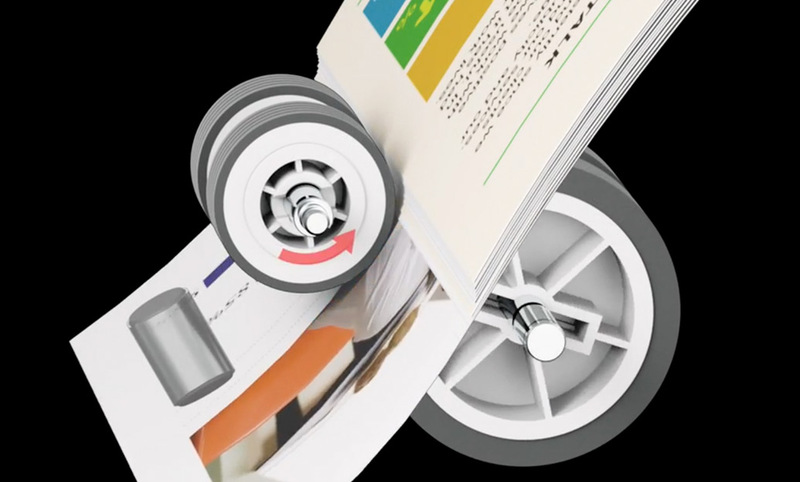 Intelligent features, such as the Active Separation Roller System, help prevent tedious document double-feeds, ensuring every piece of paper is scanned accurately and captured at the highest quality. 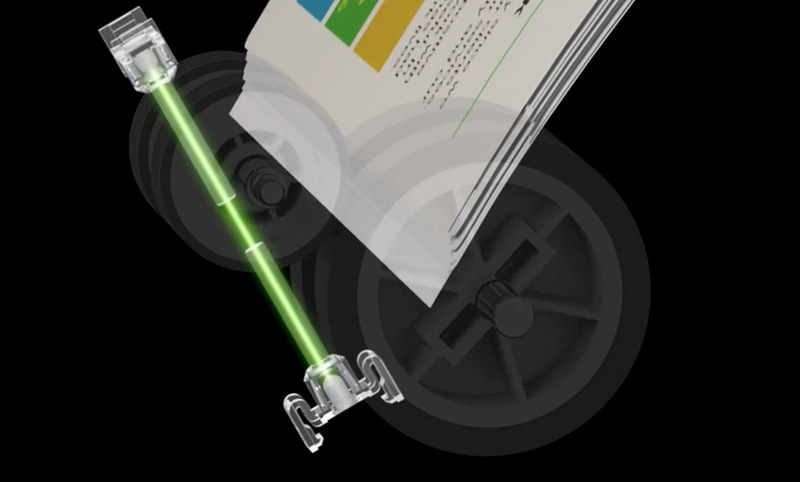 On-board ultrasonic sensors and manual input of paper lengths add another two levels of security to ensure the highest level of data integrity. 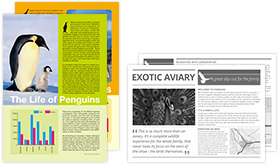 The active feeding system starts with an innovative paper tray that helps pages to be scanned more easily. 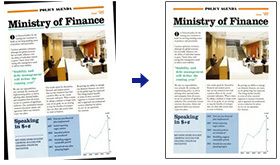 By reducing the friction between the tray and the page to be scanned, it enables media to pass through the device more easily while minimising feed errors. 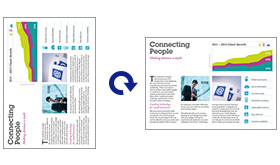 Double Feed Detection Skip function allows difficult media – such as envelopes or documents with post-it notes – to be easily and rapidly scanned without being detected as a fault. 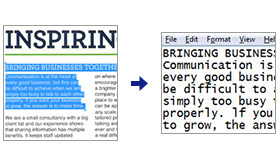 It's easy to use this feature too - just press a button. 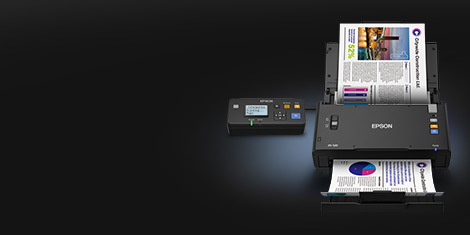 An industry-first slow mode1 reduces the roller speed to ensure that delicate media, such as crumpled or fragile documents, are handled with care without increasing file size. 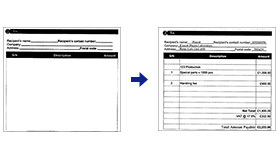 Auto Scan Mode starts as soon as a piece of paper is inserted into the scanner - managing the physical and digital processes simultaneously, enabling the processing of a vast number of documents as manageable amounts. 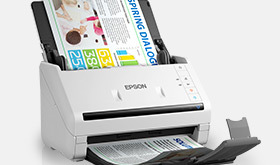 Scan a versatile array of media up to 6096mm long. 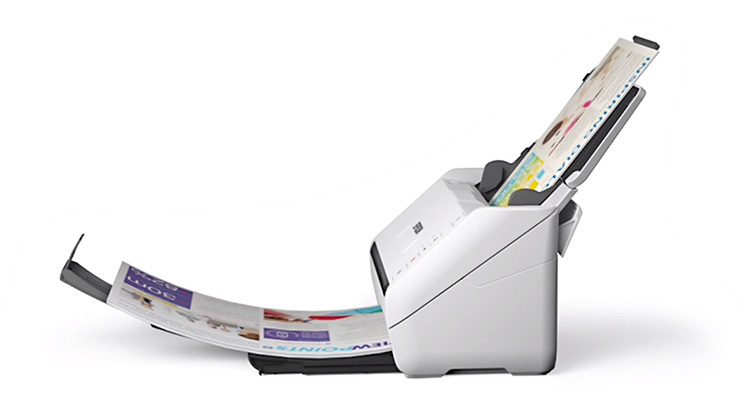 Compared to sheet-fed scanners, within the speed range of 25ppm to 39ppm, based on data from the websites and brochures of the top five best-selling scanner models in EMEA for the full year 2015 according to InfoSource Document Management Scanner Sales Full Year 2015. 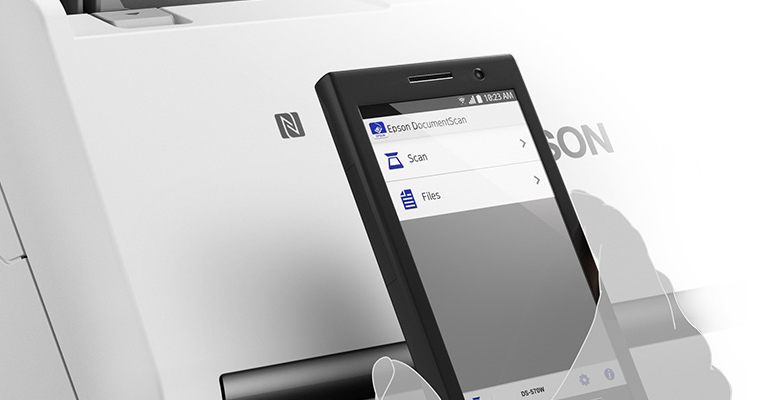 Auto Scan Mode: Quickly process physical documents in manageable amounts.